Around 4-5 hours drive from the Las vegas main strip. It depends which side of the canyon you want to go. There are different sights for the place as its spread in a miles and miles. WWWOOOOOOOWWWWWW this Is the first word you will say when you will.be at this place its just wow marvelous creativity of the nature, you just get lost in its beauty and the exceptional carving of the nature. There are many spots to click picture so choose whichever is the best for u. Be careful because not all the place have the safety barriers, which is good also so u an have better view but keep always the safety first in your mind. She you are done with the picture session, just sit and observe the place even for 5 minutes but do it, you will find yourself closer to the nature ever. We were at the north rim so there was a observatory and a sovinier shoot there so u can buy sone stuff to keep as a memory. There was no restaurant anything like that around just keep water with u as you are going to walk around a bit which is worth doing. There is no entrance fee for this place. Other then if you are planning to do the skywalk which I guess is at the south rim. Hope this will be helpful for you. What a sight! The views are AMAZING!! I've been here a few times and each time it's been a new revelation. In summer, it's hot and there are a ton of people. In winter, it's cold and a little less peeps. We hiked down the canyon (in winter) and got a ways down (3 hours in). A ranger was waiting for us and told us if we were camping down at the bottom. We weren't and were advised to start our way up, NOW!! It would be dark if we didn't go up at that point. We appreciated that advice and we got up when it was dark. The hike up was very challenging.It took up over 4 hours. Tired and hungry, that hike was one of the highlight of my life. One of the must visit places anywhere. Go! What a grand and awesome place. A must visit to see this one of nature's wonders. A steep-sided canyon carved by the Colorado River in the state of Arizona. Fizemos a viagem para o Grand Canyon South meio que no susto, pois estávamos sem tempo e dinheiro, mas valeu a pena! A companhia de um indígena explicando as mitologias do local fazem valer mais a pena este viagem. 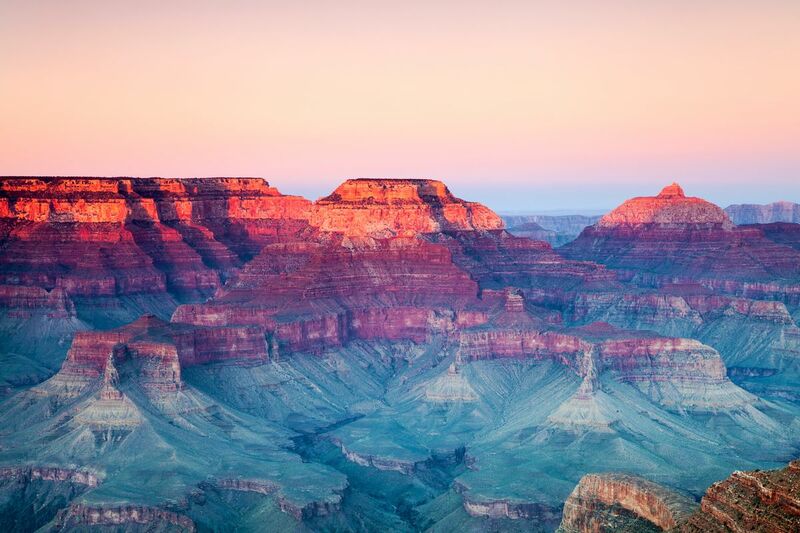 You can't come to this region and not experience the Grand Canyon! there's nothing like it. It's amazing and will leave you in awe with it's majesty and unending adventure.